I'm clearing some things up! 1) I've been getting quite a few messages lately asking if I had a wolf pattern. 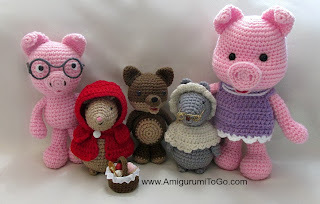 I do have one but since I made a bunch of pigs lately I'm wondering if those who are asking are wanting the wolf to go with the pigs? 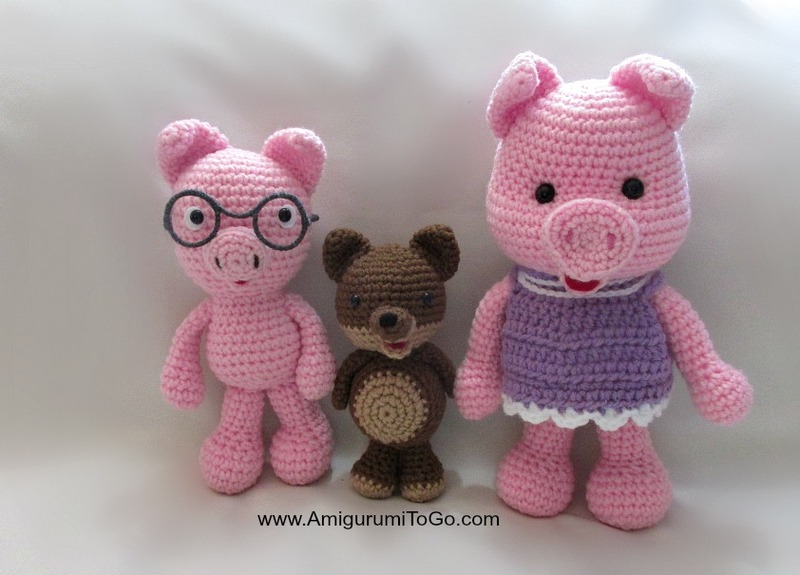 pattern I released thinking they are designed for the Little Bigfoot Pig and they are not! 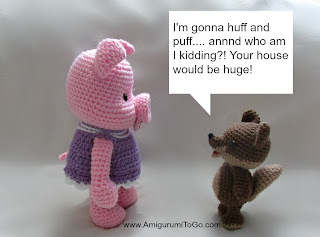 3) I've also seen that some of you are thinking the Little Bigfoot Pig and the Dress Up Pigs are the same! And they are not, they are completely different patterns. As you can see the pigs are different sizes. 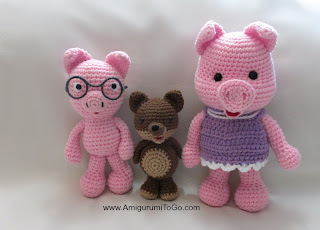 On the left is Little Bigfoot Pig and the right is Dress Up Pig. The dress will not fit the smaller pig, sorry! 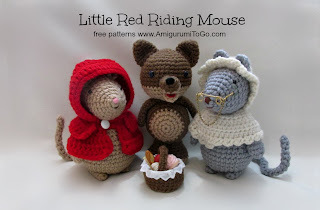 I hope this post has helped clear all that up and now for the free pattern links! Everything you see has a written pattern plus a video tutorial for each pattern... enjoy! 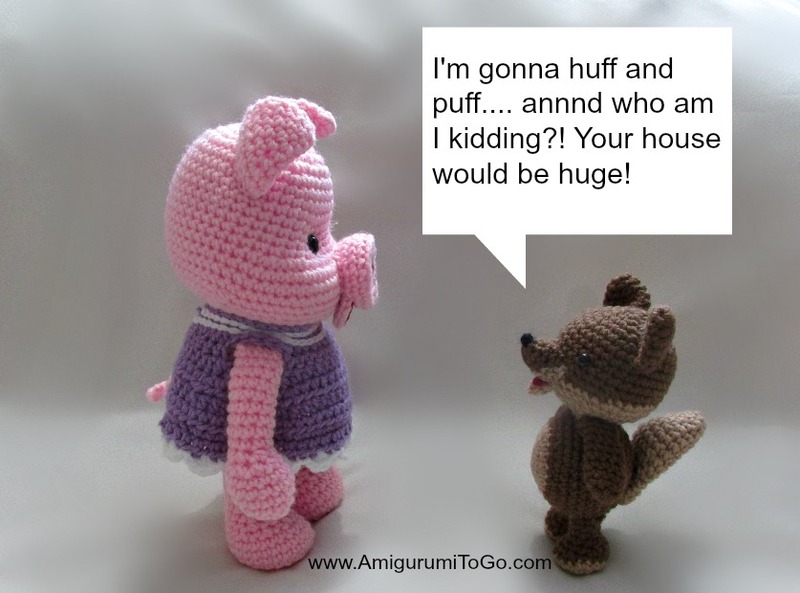 the big and little pig are completely different patterns.. I'd have to re-write the head and body pattern on the little pig to get the same kind of jowls and I don't have the time to do that.. sorry! They are so adorable. Thank you for sharing them. Much love n blessings.